Looking for a great way to discover Frank Sinatra? Than look no further. I had heard about Frank Sinatra but didn't know where to start with his music until I stumbled across this CD. It was my first Sinatra CD, but it certainly won't be my last! 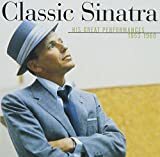 Classic Sinatra serves as the perfect introduction to this classic yet timeless singer because it's full of dazzling songs that are enjoyable to listen to. In fact, you may be hooked after just hearing the opening phrase of the first song. The tempo is generally upbeat, with the perfect mix of swingers and ballads. I enjoy listening to this CD while hanging out with my boyfriend or friends, while driving, or any time I need something to perk up my spirits. By the way, the sound quality is amazing. The recordings sounds crisp and fresh--hard to believe they're 50 years old! 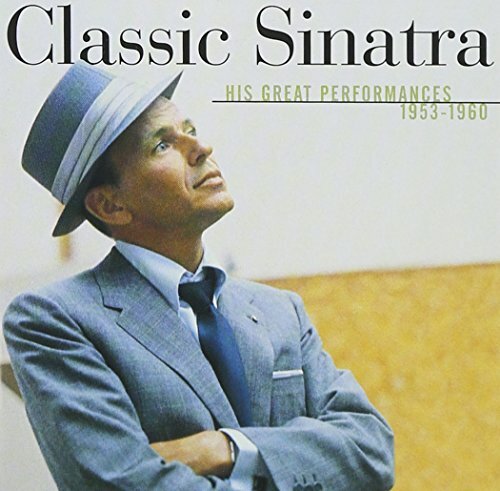 I'm no Sinatra expert, but thanks to this CD I'm rapidly becoming a fan. If you'd like to experience one of the 20th century's most memorable singers, pick up this CD now. This certainly is classic Sinatra. Twenty of his best cuts from those Capitol years are here in this terriffically remastered CD, a Nice N' Easy feel being the overall theme. Some great ballads like "In the Wee Small Hours" and "One More for My Baby" are scattered throughout, but mainly this is a confident and swingin' Sinatra at the top of his game. This whole thing just leaves us feeling good, and a little in awe of Sinatra's greatness. If you have a lot of Sinatra's stuff, as most people do, this is a nice addition, and if you really aren't familiar with what all the fuss was about, this is definitely the one to get. A good twentysomething friend of mine recently bought this after listening to me chide him because he didn't own any Sinatra, or really know much about popular music. You can occasionally make out that tune he's singing as "It Happened in Montery", his favorite cut. Any fan could go on all day talking about these wonderful Sinatra classics, but better just to buy it and see for yourself. 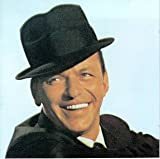 Frank's "Only the Lonely" concept album (which I have also reviewed) shows us the darker side of love and romance, but for the most part, this collection of 50's classics are either melancholy or swingin'. It's about the romantic chase (Come Dance With Me), and the sheer adrenaline rush (Come Fly With Me) of falling in love. Fairy tales can come true, it could happen to you, if your "Young at Heart", which is just how you'll feel after listening to this true Sinatra classic. Buy this one today. It might just seem like "Witchcraft" as this collection gets "Under Your Skin", and you find yourself playing it "Night and Day", not for a few cuts, but "All the Way" through. Thought you weren't a Sinatra fan, huh? "Oh Look at You Now"! CLASSIC -- Sinatra means -- His Greatest! Since only 16, I was greatly influenced by ole Blue Eyes! Regard-less whether his Movies, his Records on 78 rpm or on the Radio! (Long before TV!) Then our Senior Yr comes along, we got old enuf to be "Dancing in the Dark with Mary Costa, Harriet____ or Dorris! We thrilled & chilled-out to "The Lady Is A Tramp; When You're Young at Heart; It's Witch-craft!" We stayed long, Past our Curfew" to have another Frostie to Smootch a bit-more! Along about 40, Frank's still going strong. Sir Robert Shaw said: "If you really hope to learn the art of phrasing, Listen to Frank!" Only reminded today on hearing Garrison Keillor, my 75th yr, hearing a Poem of Donald Justice: "Men over 40 learn to close the door very softly when leaving the room if not coming back!" But we leave it open, just enuf to hear Frank! So here is Frank moving us once more to Nostalgia, Bittersweet Memories, hearing, "You Make Me Feel So Young! ; Night and Day ; Put Your Dreams Away til Another Day; Come Fly With Me!" Thankfully remastered classics. I remember going off to Viet Nam, wandering the streets of Tokyo one dark and rainy night and hearing "Strangers in the Night" blaring out of every bar with cheap speakers, it was the soundtrack before my personal hell. Years later I heard it rightfully played on a quality stereo, I wept. Sinatra Riddle, what a couple! Sinatra and Nelson Riddle are like Scorsesse De Niro in movies.A perfect combination. However, the jewel of the crown is "My funny Valentine" one of the most perfect songs ever composed. This compilation was complete. There's no hole. A Fresh New Talent On The Jazz Scene! 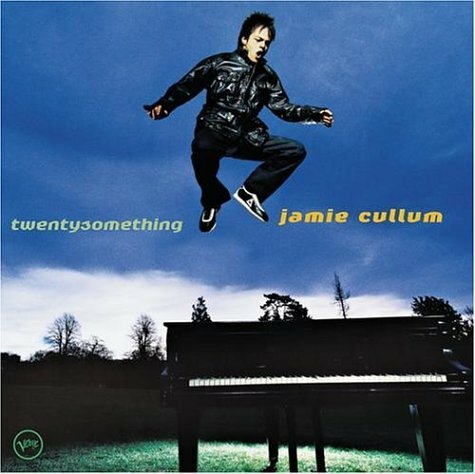 Jamie Cullum's newest CD "Twentysomething" really is something. It's something that every music lover should check out. If you give this CD a listen you will discover Jamie's excellent singing, playing, song writing, and how perfect his fresh and innovative approach towards these wonderful songs fits into the contemporary music scene. This album is a tasty mix of excellent new material combined with classic tunes from the past to create a very interesting and enjoyable listening experience. Jamie handles all this different material with an original style that captures the listener's attention without wearing them out. Through brilliant innovation and a truly unique approach to his music, Jamie exposes the listener to a whole new landscape of musical textures, colors, and emotions that challenge and satisfy at the same time. All art forms need artists that are willing to take chances and explore new ground, and Jamie Cullum has set a course to take us listeners to uncharted musical territory. This is one CD you will be playing 30 years from now and it will be as fresh then as it is today. If you enjoy listening to crooners and Big Band Swing, I would also suggest Monte Procopio "Swingin' With Style". His 13-piece band really swings and deserves a listen. 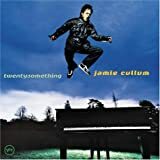 Finally hitting American shops, Jamie Cullum's TWENTYSOMETHING is simply the best release so far in 2004. The original compositions -- penned by Jamie and his brother -- stand up amazingly well next to his unique interpretations of jazz standards and showtune hits. What ultimately catches you most off guard -- and holds you in their grip -- are the subtle covers of Jeff Buckley, Jimi Hendrix, and Radiohead, along with the catchy version of Pharrell's "Frontin'" (a bonus track for Americans that was the B-side of the UK "These Are the Days" single). Cullum's originality and energy are best showcased live; however, these analog recordings (under the classy, masterful production of Stewart Levine) give you an amazing sense of his development as an artist. Compared to "Pointless Nostalgic," Cullum's loosened up from his classical training, proves he's having more fun, and infuses the tracks with more emotion thanks to the scratchy, Van Morrison-esque vocals. When I first got the CD, I thought that it would just be background music for Sunday brunches and dinner parties -- but it's ultimately become the soundtrack for my life over the past three months. And as a side note -- it's always cool when you meet someone and find out that he's a really nice guy in person, and Cullum's appreciation for his fans is truly genuine. Highly, highly recommended for any music lover. I've had the dubious honor of getting to listen to this CD just about daily at my place of employment. I just can't respect it. No artist should have their "breakthrough" album be around 50% covers... and even as far as some of the tracks on here being standard choices to cover (a showtune like "I could have danced all night" for example), there are also plenty of songs written to be a testament to the sole artist's talent... I can't imagine a band as pretentious as radiohead selling their work to anyone, let alone someone who plays mediocre jazz-influenced lounge music. As for Jimi Hendrix and Jeff Buckley (yes, "Lover, you should've come over" was done first by Buckley, and so well you'll understand why this CD is a debauchery just by hearing it), I'd love to know who decided allowing their songs to be rearranged and ruined here would be a fitting tribute to their memories. As for his own compositions (which I can't truly say he has, but I'll give him the benefit of the doubt), they don't stay with me... they're just one more generic lounge act buzzing through the speakers, with the same piano, same haphazard lyrical rhythms... they could have been pulled from any CD featuring any member of the rat pack. This music was done best before most of us were born, and Jamie has done nothing to further the genre by my ears. He's only (appropriately given his name) culled songs from across the boards to serve his own fame. You'd be better off buying the original CDs, even with the low price of this album. Sorry, yet another bad pun. Anyway, Michael Bublé appears to have had a long time coming, because his debut self-titled album came out two years ago and seemed to go virtually unnoticed. I guess in this day and age, it's a little difficult for a jazz singer to compete with all the hip-hop and hard rock dominating the charts. But thanks to critical acclaim, he's doing much better with his second studio album, It's Time. I didn't hear his first album, so I'm not sure if he's always been a cover artist, but at any rate, he does an excellent job with the songs on here. I don't know if I'd necessarily say that these remakes are just as good as the originals, but Michael turns them into great songs in their own right. R&B classics like Stevie Wonder's "You and I" and Leon Russell's "Song For You" get wonderful makeovers. "How Sweet It Is" is also good; and Nelly Furtado lends a helping hand in "Quando, Quando, Quando" (it's especially refreshing to hear her because I think most people forgot about her second album, even though it went gold). Another good track is "Feeling Good", which will definitely have you doing just that. And while some people might be tired of hearing covers of the Beatles' "Can't Buy Me Love", you can't deny the greatness of Michael's version. Every song on this album is great, to be honest with you. Whether you're a listener of jazz or just plain great music, it's time to pick up Michael Bublé's album. From Buble's smooth delivery of a song on unrequited love in "You Don't Know Me", to the swinging and brassy intro of "The More I See You", and the Latin-tinged orchestration of "Save the Last Dance for Me". 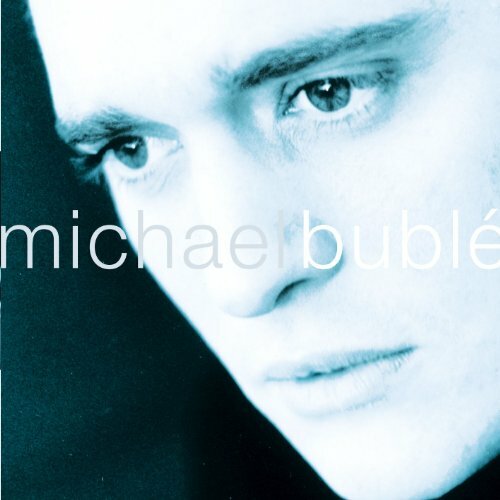 There is also Buble's refined version of "Quando, Quando, Quando" - recorded in duet with Nelly Furtado-standing in sharp and deliberate contrast to Engelbert Humperdinck's brash style.And, a classic, with Buble crooning to Nelson Riddle's familiar arrangement in "I've Got You Under My Skin".Finally, a new standard in "Home"-a song likely inspired by Buble's long days on the road, has the artist pining to "go home". Michael Buble and band (led by music director/arranger Alan Chang) have put together a fun album that will delight and entertain true lovers of traditional pop. Highly Recommended ... 5 Stars!! As much as I like Michael Buble I have to admit that this CD is a stinker (no wonder he had to go on tour to sell it).The magic of Michael is not there it's like the CD was produced to make money, fast.I found it dull, I bought Totally Buble at the same time as this one and find Totally Buble far superior to this one.Lyle Lovett does a better version of Mack the Knife (which is more of a transliteration of the original German than we are used to hearing thanks to Bobby D.)than this CD.Frank Sinatra does a better version of I've Got You Under My Skin than the duplicaiton of the Nelson Riddle/Frank Sinatra arrangement version on this CD.A Foggy Day to me is the CD's only saving grace.The CD is gathering dust in my collection.Michael you can and have done better, your other CD's are full of the verve and warmth of your voice, this one is cold and emotionless.I wish you would have thought this one out a little longer. In the words of Gerturde Stein, "There is no there, there". There Is No Stopping Him Now!!! 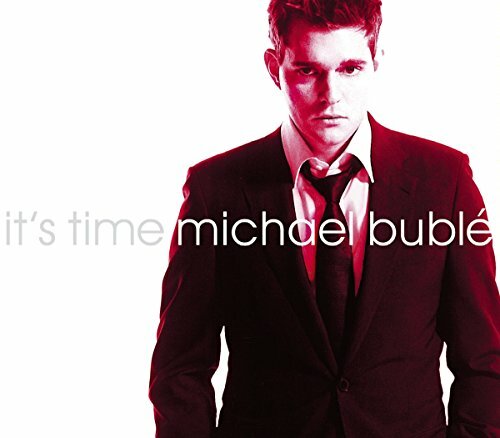 Michael Buble continues his musical juggernaut with this Special Edition of his latest offering "It's Time". With his International appeal and record sales in the millions, it has now become very apparent that Michael Buble has truly found his audience and has become one of the brightest stars on the worldwide music scene. With "It's Time" Michael has given his legions of fans exactly what we wanted, more of the same but with a bonus, an original song. This album like his first "Michael Buble" is a very well thought out mixture of well-loved standards, light rock, and classic pop hits with the addition of an excellent original song, "Home". All fifteen of these songs are recorded and produced superbly and Michael's outstanding voice and performances just keep getting better and better. 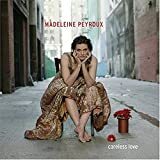 The addition of other well-known contempory artists on a few of the tracks makes this cd an extremely good value and I really like this formula of combining two or more wonderful talents to create great music. The sky is the limit for Michael and if this cd is any indication it is going to be a very enjoyable ride. Monte Procopio is another new crooner that I also enjoy. 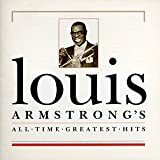 His CD, "Swingin' With Style" features an excellent selection of songs and a 13-piece band that can really swing. Not bad for the virgin ear i guess . . .
After spending the past few weeks listening to her other releases I own, it's apparent to me that Diana Krall's "Live in Paris" highlights several qualities which aren't as noticeable on the other albums. 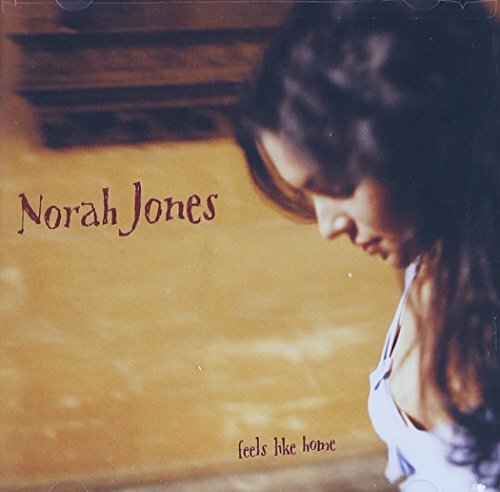 For one, her voice is fuller, huskier, and shows a greater dynamic range here than on many of her studio-recorded tracks. In addition, the more open arrangements which come with a live gig allow her jazz piano skills to shine in ways not often heard on the albums. Finally, the rhythmic variations she displays with her voice and fingers throughout the performance aren't utilized much on her earlier albums. After listening through the album several times, my personal faves are "The Look of Love," "Maybe You'll Be There," and "A Case of You." I don't care much for the version of "Just the Way You Are" included here. Though it's included as a bonus track, its polished smooth-jazz/pop sound doesn't fit well with the jazzy, more open and engaging tracks which precede it. All in all, if you've seen Ms. Krall live (I saw her in D.C. in April) I heartily recommend this CD - it'll bring back what makes evenings with her so memorable. And if you haven't seen her live, this CD will make you want to. The Swinging Diana Krall is Back! This CD has what Diana Krall does best and what I really want to hear her do: get togther with a cookin' rhythmic combo and just swing through some jazz tunes. She really finds a solid groove and sits right in the pocket during almost every tune. Her piano playing gets better all the time: simple, with just the right combination of single note elegance and splendid jazz licks. Listen especially to her performances here of "Let's Fall in Love" and "East of the Sun." She doesn't play a lot of notes, but she sure plays the right ones. They are right on the money. Jimmy Rowles and Hank Jones would be pleased. "Look of Love?" Well, OK, it was a different marketing shot, but my two cents ask that she put that aside now and get back to swinging and jazz, just like we get it here. One quibble: she sings such great tunes with such classic melodies, it would nice to hear her actually sing them, rather than to play around with every one. The great jazz singers always sang a few songs straight. I bought "Girl in the Other Room" and did not care for that depressing album at all. But when a friend played this for me, I could not believe it was the same singer. 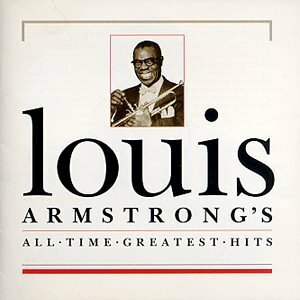 This is an amazing album, full of swing, sass, life and great orchestration, everything the other album is not. I am going to have to listen to her other previous albums now. This one was wonderful, I hope there is more from this singer like this! Diana is so good live! Kick off your shoes, put on this CD, and relax. 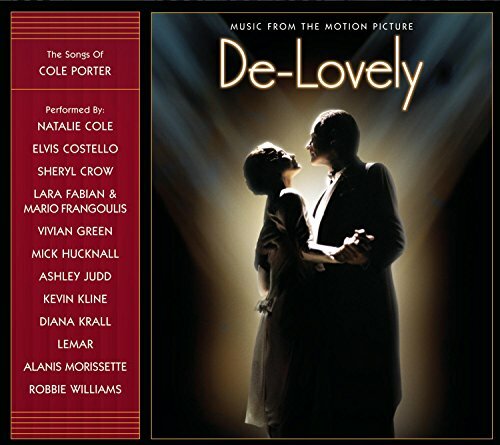 I was introduced to Diana Krall when a friend of mine recommended "Love Scenes," and I have been hooked on Diana's laid-back, slick, vaguely retro voice ever since. "Live in Paris" is by far my favorite of her albums. While the DVD features several more songs than does this CD--"Pick Yourself Up" and "All or Nothing" come to mind--the CD is still perfect for setting a causal, intimate vibe (during car trips, get-togethers, or quiet evenings at home with a good book and a glass of wine). In fact, the range of moods Diana sets with her smoldering voice make "Live in Paris" appropriate for a variety of occasions; "I Love Being Here With You" features a lively, hopping rhythm section, "East of the Sun" is playful swing, and Diana's cover of Joni Mitchell's "A Case of You" is given a new, meloncholic texture with her deep voice and tinkling piano work. Michael Bublé has this panache about him you HAVE to see to believe. So the DVD disc of this two disc set is like a window into this amazing performer's treasure trove of timing and turning an audience to putty in his hands. You need to hear him sing only once to be completely wowed by his unique style. So the 8 tracks on the CD are split up into two new studio covers of "Nice 'n' Easy" and "Can't Help Falling in Love," and six tracks of recorded live performances: "My Funny Valentine", "Mack the Knife" (which is astoundingly well done), "You'll Never Know", and then live versions of those included on his debut CD: "Fever", "For Once In My Life", and "Moondance". The DVD includes live performances from the United States, the U.K., and South Africa. The 12 tracks on the DVD include performance selections from his debut CD: "Come Fly With Me," "Sway," "How Do You Mend a Broken Heart," "Kissing a Fool," "For Once In My Life", "That's All", "Fever","Moondance" and my very favorite "The Way You Look Tonight". 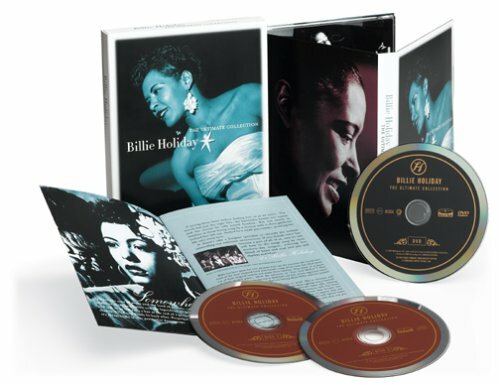 Others included on the DVD are "You'll Never Know", a breathtaking version of "My Funny Valentine" and "Mack the Knife". Get this - 'cuz all that's old is affectionately Bublé and band renewed again. My wife and I saw Michael at Massey Hall in Toronto and thought it was the best concert we had ever seen. We were hoping that this DVD would try to give fans who have not seen him live, a chance to receive a similar experience. The problem was that the terrible fast editing job does not do anything to show how he performs or moves. In fact a lot of the video footage shown doesn't even sync with the audio. The backstage and other non concert footage was good, although he tried too hard to show that he was not a "goody-two-shoes".It was a kind of forced attempt to be edgy. I think his natural personality and talent are edgy enough. The CD was a great bonus, but why all the repeat of old released songs. I find I just skip to "my funny valentine", "you'll never know", "nice and easy" and "mack the knife". Sorry Michael I expected much more from you, the person I believe is the best male performer in the business today. People who compare Cincotti, Evans, Robbie Williams or even I dare say Harry Connick to Michael Buble....Puuhlease!. DON'T buy this CD package! Michael Buble has recorded the theme for the new Spider-Man 2 movie and his version plays over the end credits but is not on the album. 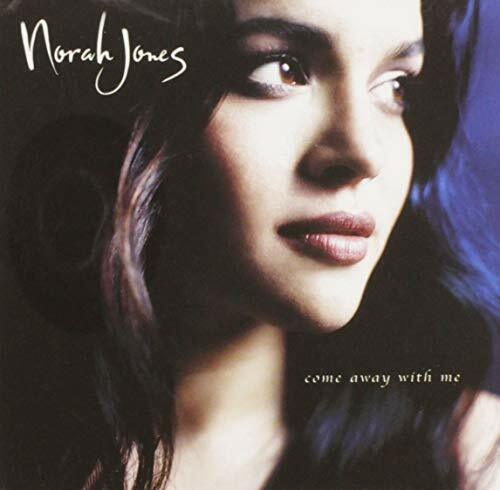 Plans are in play to re-issue 'Come Fly With Me' as the current CD/DVD package BUT will include "Can't Help Falling In Love," "My Funny Valentine," "Spiderman" and a new mix of "Sway". If you still want the CD single of 'Spider-Man', it features a Junkie XL remix. 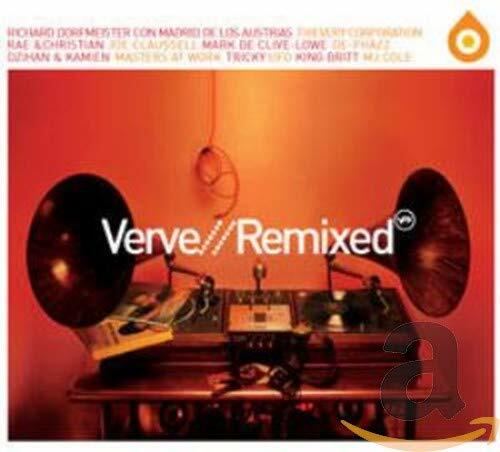 Junkie XL also did 5 remixes of the song 'Sway' on the same single. A Must Buy For All Michael Buble Fans! I have had Michael Buble in my DVD player and on my big screen TV for almost three months now, and each and every time I listen to Michael sing or watch him perform I gain a better understanding of how wonderfully talented this young man truly is. Whether in my car, at work, or on my TV, I always get a feeling of satisfaction after enjoying his music. The DVD is very informative and the concert footage makes me feel like I am right in the middle of one of his concerts. 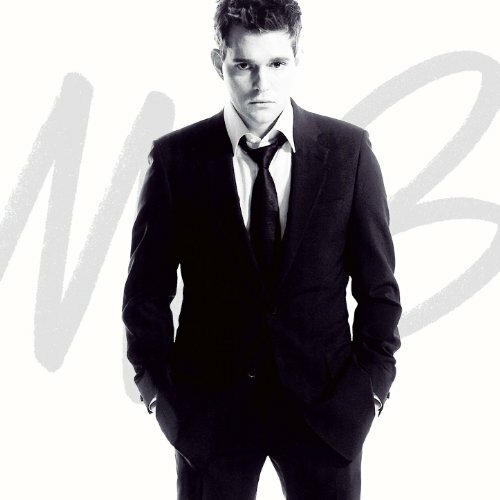 With all the live performance and interview/backstage footage you really get to know what Michael Buble is all about. The CD includes some new material as well, and I especially like "Nice And Easy". With his gorgeous voice and unique style he will be a permanent fixture in the pop music scene for many years to come. This CD/DVD package is really marvelous and you can't go wrong buying it. I think it may be a bit of a shame this album is in the "jazz" catagory, for although Diana Krall may be a "jazz artist", on this miraculous CD she simply a singer of standards.... she has style, but (thank God), she sings these songs without destroying or molesting the lyric or melody that so many artists are prone to do today. 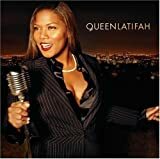 THE SONGS are the stars on this album, not the "stylings" of a "diva"... how refreshing that is! These songs are not for those with limited attention spans who must have a driving beat and an occasional yelp or cry from the vocalist... these songs are for those who know how to listen and hear truly great orchestrations from veterans like Claus Ogerman (who orchestrated the most mellow of all Frank Sinatra's albums "Francis Albert Sinatra and Antonio Carlos Jobim" in the 1960s).. and this album is a tribute to that very sound. This album is lush, romantic, beautifully crafted and sensuous.. it is for a night of romance and for decompression from the traffic and noise of everyday life. I hope Ms. Krall will give us more albums like this masterpiece. TOP musicians, superbly crafted arrangements and a clear and clean vocalist who respects lyric, melody and emotion make this clearly a 5 star masterwork in every respect. What can we say about Diana Krall that hasn't been said? She's beautiful and talented and has a way with a song. "The Look of Love" only further adds to the opinion that she is one of the more accomplished artists of our time. Her new CD shows her growth as an artist by venturing where she has not gone before. Rather than stick with studio musicians, Diana enlists the help of the London Symphony Orchestra. Her voice blends pertectly with the muscianship and gives this CD a classical feel. Diana shows her ability to handle all kinds of music, from the Latin-tinged "Besame Mucho" (remember when the Beatles did this one? ), to the more traditonal "S'Wonderful.". Other symphony-influenced pieces are are "The Night We Called It a Day", "Cry Me a River" and "Dancing in the Dark". Diana has always been a big fan of the great composers and she offers us the work of a wide variety. Bachrach and David's title track, Hoagy Carmichael's "I Get Along Very Well Without You", Johnny Mercer's "I Remember You" are all standouts. Diana's voice has also remarkably improved (not that it wes bad before!.) It's much softer and smoother, which fits in beautifully with the tone of this CD. "The Look of Love" is a must buy for Krallaniacs everywhere. But now that you discovered Diana Krall, check out some other great artists like Jane Monheit, Tierney Sutton, the late great Susannah McCorkle and of course, the one, the only, the incomparable Jacqui Naylor. this is an instant classic people! i heard all her clips at http://www.vervemusicgroup.com and bought the cd immediately! If you haven't heard Diana Krall, you're missingout. She is a true jazz talent. I recommend The Look of Love highly.